From holiday jammies, to Christmas tunes, to warm fuzzy socks, and peppermint EVERYTHING-- the best time of the year is finally here!! and soaking in every part of this Christmas celebration season with friends and family. I was so excited to work with SkinnyPop to bring you a delicious and easy recipe to enjoy as you spend time with loved ones. Mix things up! 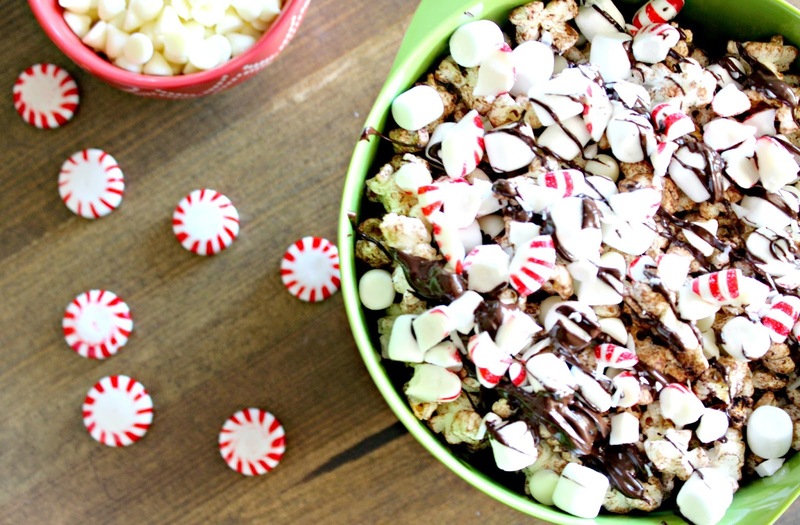 Leave behind the busy, watch a Christmas movie, sip some cocoa, and enjoy this chocolate-y popcorn mix! This recipe only takes 5 minutes!! 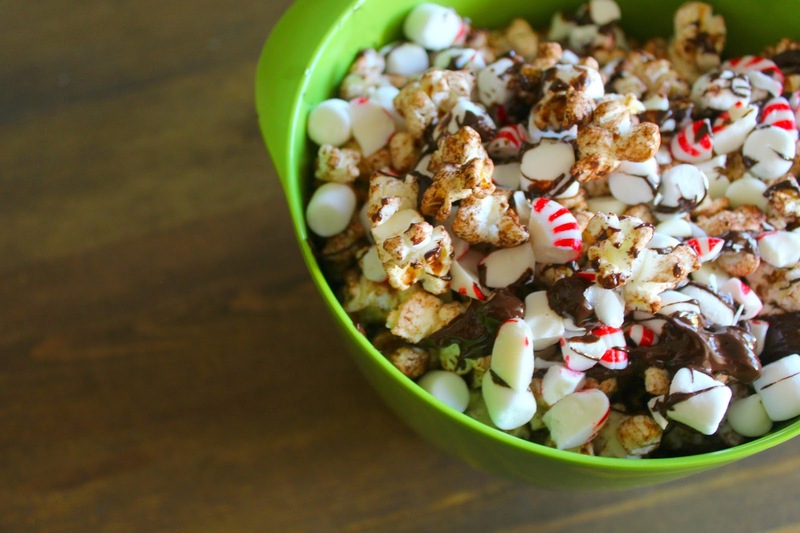 First things first, you will need mini marshmallows, peppermints, white chocolate chips, and milk chocolate chips. 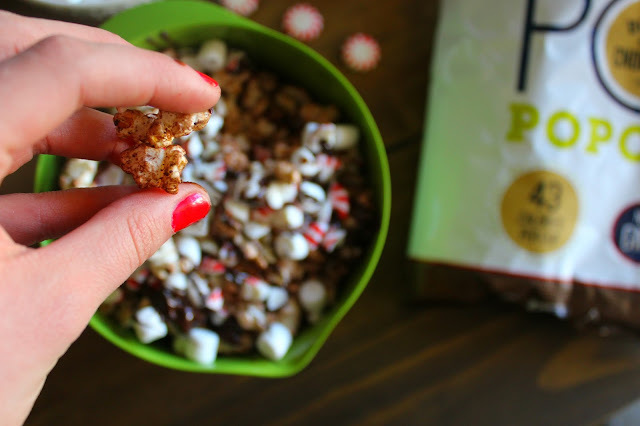 SkinnyPop's Dusted Dark Chocolate Popcorn is amazing on its own. So hold yourself back from eating the whole bag before you actually mix in all your mix-in's. 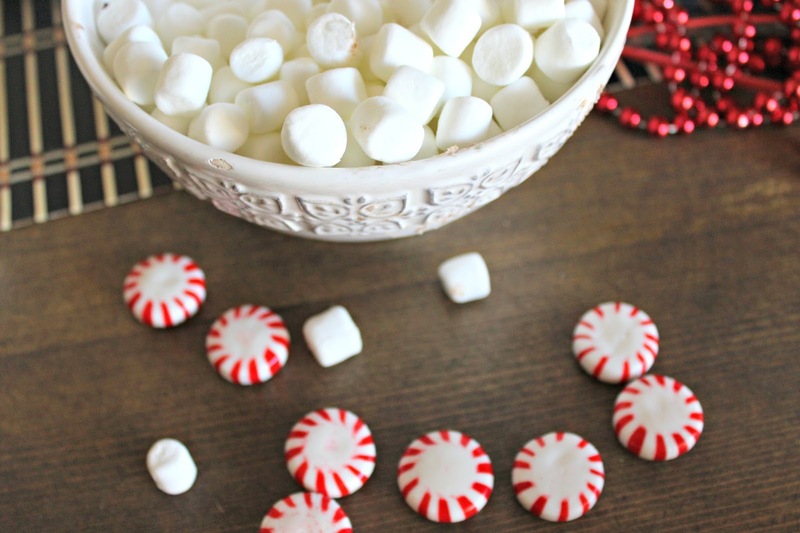 Melt your chocolate chips and crush your peppermints. 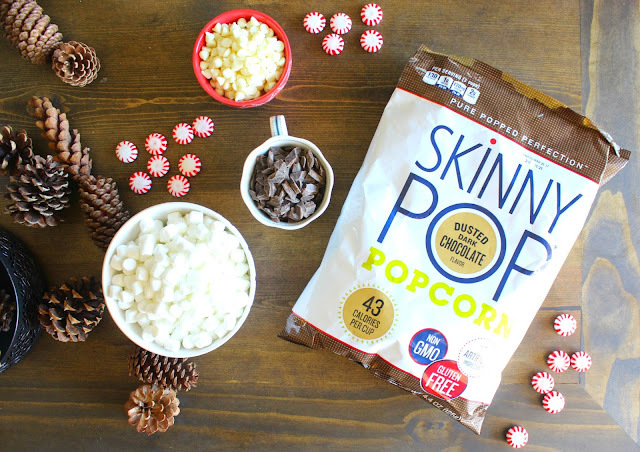 Mix marshmallows, crushed peppermints, and melted chocolate with SkinnyPop's Dusted Dark Chocolate Popcorn and BOOM. You are done. So, so easy. And then, hold yourself back from eating the entire bowl of popcorn before friends and family arrive as well. Because this stuff is too good, my friends. Hey! Let me know how you're mixing things up this holiday season. And also- let me know once you try this recipe. It's a good one that I may just have to have around year-round. Happy, happy Wednesday friends! This post may contain affiliate links that do not effect the prices of items included in this post.